We are thrilled to win the 2018 Logistics Award for Environment/Sustainability! This was awarded for the launch of the UK’s first Hydrogen van for logistics with our partner, Mitie. Hydrogen is a relatively new technology for vehicles but has huge long-term potential as it has a range up to 200 miles, nearly double that of an electric van. As Hydrogen fuelling stations expand and vehicle costs reduce, Hydrogen vans will have a more central role in logistics. Our decision to pioneer this vehicle has proven hugely successful especially as forward-thinking clients like Mitie are eager to use it for their operations. This van has driven more than 10,000 zero emission miles around London and we’re looking forward to many more! The award is a testament to all the hard work our business and clients have done to reduce emissions and the continual commitment to a greener, cleaner environment. We deliver Courier Services you can depend on. Find out more about our Same Day Delivery or Next Delivery Day solutions. 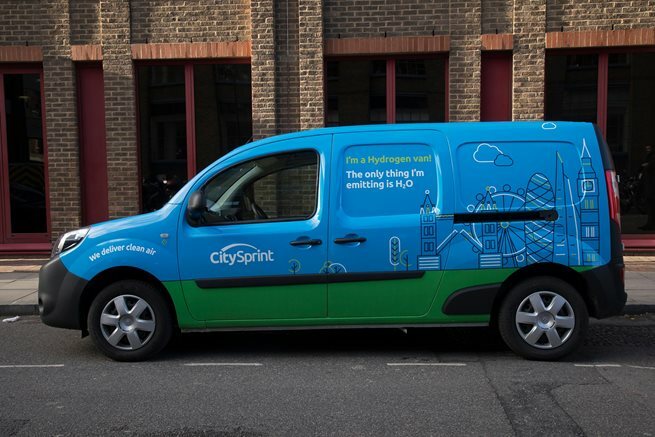 Want to receive regular updates about CitySprint? Subscribe to our blog and receive content directly to your inbox.